The Chocolate Muffin Tree: Happy New Year Crown! Happy 2012 to everyone!!! Hope you had a FUN New Year's celebration!!! Wishing you the best in 2012! 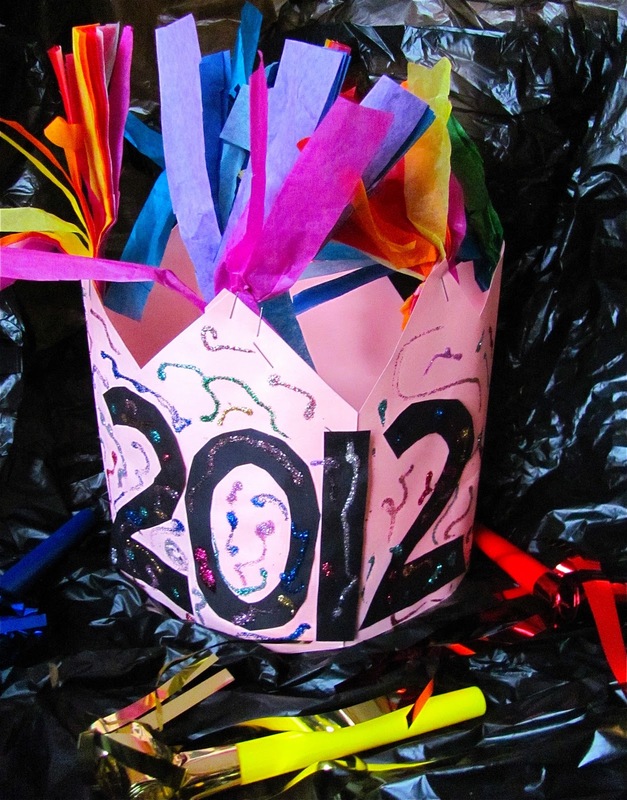 Here is a simple crown that you can make with your children to celebrate the new year! We've made crowns before in a previous post of you want to check out how we made them here. First, I took a 12 x 18 piece of construction paper and drew a zig zag design. If you fold the paper in half you'll have two pieces to connect together. Here are the two pieces. 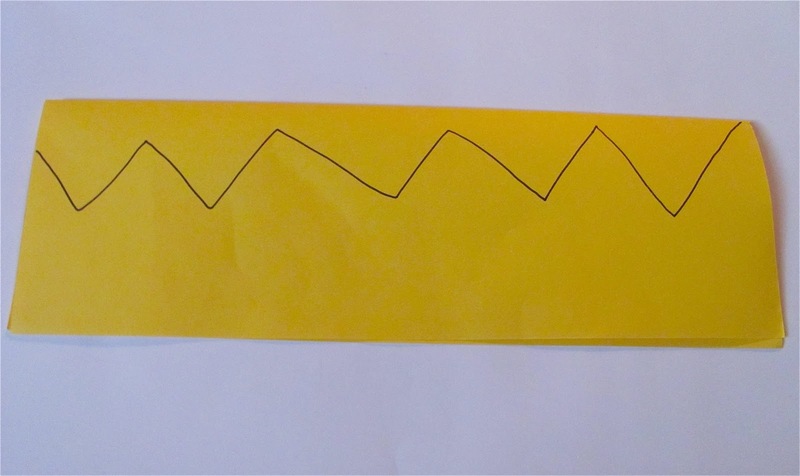 Just staple together and you'll have a longer piece of paper to create crowns to fit around your head. You could use a 24 x 36 piece of paper to already have a piece of paper that is long enough. We cut out the numbers for the year in black paper and glued them in the center part of the crown. 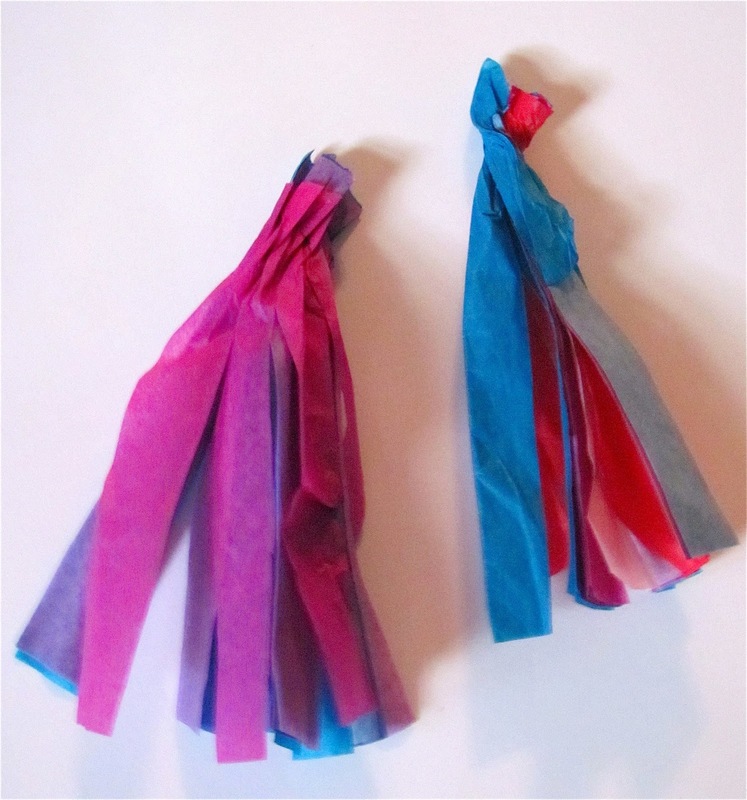 We used glitter glue to decorate, but you could use whatever you like: pom poms, sequins, pipe cleaners.....go crazy! For a finishing touch we added tissue paper tassels to the the points of the crown! To make those: first, gather about six 4 x 8 pieces of tissue paper stacked on top of each other. 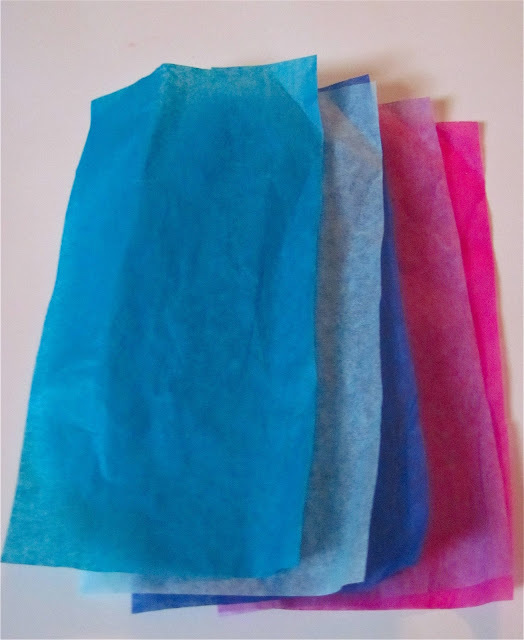 Then, cut into the tissue paper layers to create fringe and don't cut at the top!! Twist the uncut part at the top and wither glue or staple them to the tops of the points of the crown! Let the glitter glue dry and you are ready to celebrate! Lovely crown, adding tissue paper tassels is such a good idea. Very festive indeed. Happy New Year!